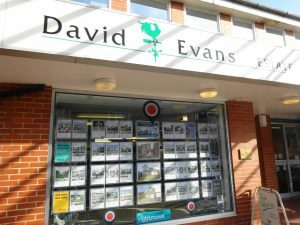 David Evans Estate Agents know the market intimately, combining the traditional virtues of professionalism and probity with the highest level of customer care. David’s own vast experience and his respect for his valued clients, maintains a rock solid & utterly reliable team behind him, providing the continuity clients require when looking for answers and assurance, with a common sense approach. A large rental portfolio is managed from the same High Street offices.